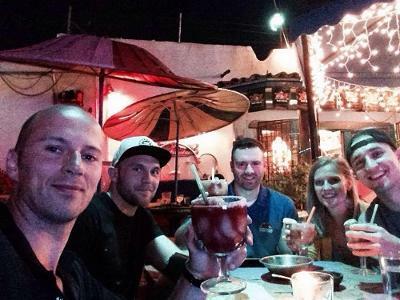 Arizona was on fire this past weekend with Pelvis Restoration. We had a full class with six new individuals to PRI. I felt this class gained understanding with PRI tests and what they are demonstrating to assist with activity selection for their patients. In addition, as with a lot of classes, the power of synchronization of the respiratory and pelvic diaphragms was appreciated. Thank you East Valley Spine and Sports and Zac Cupples for hosting! I had a blast teaching this group. I loved March! I have met so many new people, re-visited with people I haven't seen for years, and re-kindled passion with those that appear everywhere I turn. March started out like a lion for me. The first weekend of three in a row which 'focused' on PRI Vision at Bethesda, Maryland. I enjoyed teaching with Dr. Wise our revised Postural-Visual Integration course information and really feel that all 'eyes' were on target. We watched snow fall and periphery move us. The Point Performance team were such wonderful hosts. Thank you Erin, Joanna, Sean, Allison, Louise and Haim for being such great visionaries! The next weekend, I traveled to my favorite Canadian city, Montreal, home of CoreXcellence. These practitioners and trainers love PRI and I loved teaching Postural Respiration with Heather Jenny. This was Heather's first opportunity to co-teach as she continues training to teach this course in the Fall, and she did a great job! It's all about the gas and these two days went by fast, because we loved talking about airflow, gas exchange and breathing in general. Don, Rich, Oz, Vito, Christopher, Ora, Leah, Jeff and Echo were awesome hosts! I have never eaten more oysters or had better food. Thank you all so much! I look forward to my next trip to your expanding company. Chapel Hill, NC was home for me on March 14th and 15th. 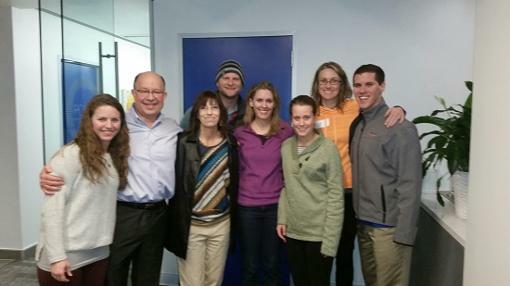 The staff at Advance Physical Therapy always are gracious with their time and event hosting. Susan, Lisa, Jean, Joe, and Matthew are also family to me. I really enjoyed presenting revised material on Cervical Revolution and again their input was invaluable. There were as many familiar PRI faces in the room, and it was a very humbling and emotional experience for me. Presenting this material to these guys was like coming "full circle" in my career. There was wonderful conversation as the result of having 3 dentists in the class. I would encourage any future Cervical Revolution course attendees to invite his or her local dentists, who might be interested in how occlusion can improve PRI outcomes, to also come to this particular course. The interdisciplinary interaction was awesome! So March came in for me like a lion and is leaving me as a lamb, because I am enjoying every minute preparing for the upcoming Interdisciplinary Integration Annual Symposium that is approaching in less than 3 weeks. It will also be another highlight of my year and I encourage you to look into attending, because this year's symposium is all about our "need to succeed!" I love Spring Madness! 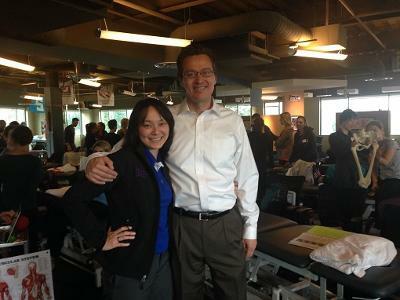 Course in Review from Seattle's Myokinematic Restoration! Seattle, Washington (Myokinematic Restoration) "What a difference 4 years can make! It was a pleasure to return to the same Olympic Physical Therapy clinic location in Seattle, Washington where Jen Poulin and I first introduced the "PRI paradigm shift" to a much more skeptical and at times hostile crowd of manual based therapists. Jen's eyes got a little bigger as she watched my firm responses and pointed return questions to a group that was clearly not "on board" with PRI to start with. She said, "James, they're not all like this are they?" I told her no and that this group would either really take to these concepts and be amazing with it, or we'll never hear from them again. Four years later, I found myself in one of the friendliest and most supportive environments I've ever taught in, with no fewer than 4 PRI credentialed clinicians in the room and 3 others that verbalized their desire to become credentialed as soon as they possibly could. It is truly a pleasure to have such a wonderful group of people up in the beautiful Northwest so supportive of everything associated with PRI Nation. Thank you Betsy Baker-Bold for always being a gracious host, Zach Hawthorne for being an excellent lab assistant and Sayuri Abe-Hiraishi for the honor of mentoring you as you finalize preparations to take Myokinematic Restoration to Japan this summer. You'll be fantastic." Well, it was Spring in Worcester Mass this past weekend as I welcomed another group of largely “PRI newbies” to the PRINation. The sun was shining and the dirty snow was finally melting! These poor Northeasterner’s have endured quite the winter, but they were excited to learn about the power of a Pattern and how to integrated the world of A’s on F’s and F’s on A’s into their clinical practice settings. Michael Roberts and his staff took very good care of me this weekend! From Yellow VW’s, to yellow M & M’s and chair massages at the break. These good people didn’t just drink the Kool-aid this weekend they funneled it down! They are fired up to learn more and I personally would love to go back and teach in Worcester again! 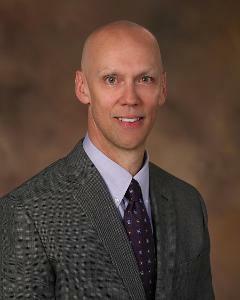 Dr. Todd Stull is our next speaker spotlight for our upcoming Interdisciplinary Integration Symposium. Dr. Stull, founder of Inside Performance Mindroom, holds a Doctor of Medicine (MD) degree from the University of Nebraska Medical Center and is a board certified psychiatrist in Addiction Medicine as well as General and Addiction Psychiatry. He is a former high school and college football quarterback (Hastings College) and has spent a number of years working with college athletes while serving as Consulting Sport Pyschiatrist at the University of Nebraska Lincoln and Creighton Athletic Departments. "Top performers are driven by a clear vision based on their passion, desires and strengths. Vision leads to peak performance only when aligned with supporting thoughts, emotions and behaviors. By developing mental routines, brain training skills and feedback processes, athletes and teams can successfully match their mental game to their vision. Many barriers stand in the way of peak performance – lack of confidence or emotional maturity, communication differences, relationship difficulties, mental health and substance issues, parental interference and stress. The mind-body connection is the foundation for the upcoming presentation at PRI on April 16-17, 2015. By integrating neurobiological and psychological skills and science-based tools, you will learn to access the power of your mind to enhance performance." And of course, we’ll discuss what to do, and what not to do, about it to help your patients maximize their potential without sacrificing their ability to rest and breathe. 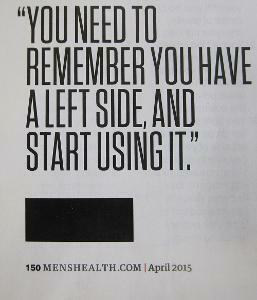 You know, Postural Restoration 101. Wow! What an amazing weekend in Indianopolis. The enthusiasm and passion for PRI by course attendees was amazing. 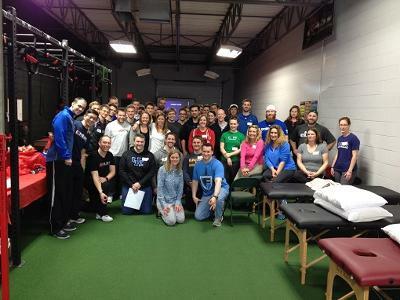 We had over 10 physical therapy students in attendance in addition to the physical therapists, strength coaches, and athletic trainers in the room. Integration of the pelvic inlet/outlet in the frontal plane with stance and swing phases of gait were emphasized with synchronization of TWO diaphragms. Powerful weekend. The IFAST group was fabulous and I can’t thank them enough for hosting yet another PRI course! During my recent certification process to become a PRC, I found an article whose findings are supported by PRI science. I felt like I had stumbled upon a pot of gold! I want to share the wealth with PRI nation! This 2008 article identified a predominant trend of patterned posterior arm swing occurring more on the left than the right in subjects walking at various walking speeds. They found this event to not be related to handedness. The author’s provide insight into why this pattern of movement was observed including underlying mechanisms of side differences in muscle tone and/or strength and also neural motor programming. PRI’s apriori understanding of normal human asymmetry, the development of adaptive muscular recruitment patterns around a left AIC, right BC and a left type1 scapular pattern can explain why the authors observed this pattern. The left arm swing findings are understood when you consider that left arm swing occurs during left trunk rotation of the right stance phase of gait and that the human body is always oriented to be in this right stance phase pattern. PRI courses and previous blogs provide excellent and thorough explanations for why our body has a right stance dominant pattern, so I will not describe them in depth. Anatomical asymmetries that orient our spine to the right create imbalance in the AICs with the left AIC becoming more influential and orienting the pelvis and lumbar spine to the right. As a compensation to a right oriented spine the thorax rotates back to the left creating an imbalance in the BCs with the right BC becoming more dominant. This pattern of counter-rotation, between the pelvis and ribcage, will be the dominant pattern occurring during walking, so even though a person will move into a left stance of gait they may not achieve full and opposite counter-rotation. Thus the left arm will always have a tendency to move more frequently and activate more into extension or posterior flexion as the authors described it vs. into flexion or anterior flexion. The degree to which a person is limited in moving out of their LAIC/RBC and into a RAIC/LBC will vary and the results of this study show this. Clinically, I have observed this and have found that the individual needs for a PRI program will vary from one person to the next person. In closing, I think one of the take home messages from this article is that the underlying pattern of a LAIC and RBC can be observed in a real world situation, walking. The power of PRI is that it understands why the person maybe walking in an unbalanced manor, it provides an evaluation to determine the extent to which a person’s systems are influencing the patterned movement and it provides a management program that helps people become sensory-motor aware and find the floor to maintain balanced walking.